Product prices and availability are accurate as of 2019-04-18 12:08:15 EDT and are subject to change. Any price and availability information displayed on http://www.amazon.com/ at the time of purchase will apply to the purchase of this product. 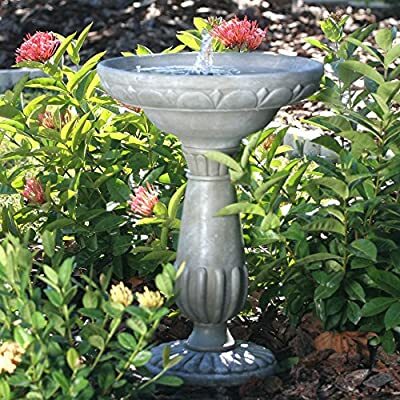 The Solar Bird Bath Water Fountain is our most popular water fountain for many reasons. It creates a relaxing atmosphere in your garden, patio or balcony. Water flows around the basin and recycles in the hidden reservoir. 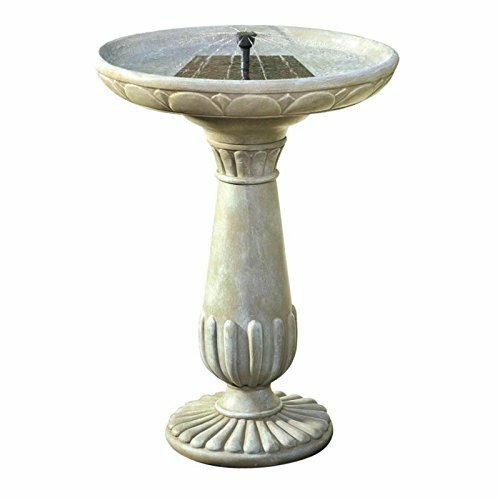 The Solar Bird Bath Water Fountain operates in direct sunlight, utilizing a solar panel to power a low voltage water pump. This requires no wiring; simply install and enjoy. As it uses the power of the sun, there are no operating costs. The two year warranty guarantees that you will have long-lasting quality.